Recently I was discussing capabilities of the client-side framework Knockout.js in ASP.NET MVC applications, with some of my students. KO is a lightweight framework and very efficient for developing rich Web application. You can find more about this library here. 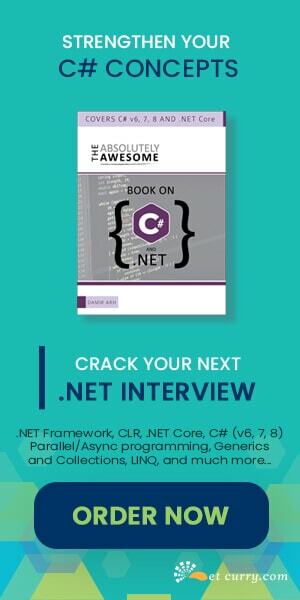 For a more practical implementation, you can find two articles - Simple Databinding and Templating using Knockout and ASP.NET Web API and Simple Application using Knockout.js, jQuery and ASP.NET MVC 4.0 with WEB API. One of the most awesome features in KO is ‘template’ binding. This is a simple mechanism for building UI structures with repeating UI blocks. Templates support data binding expressions to bind various HTML attributes (text, value, id, url etc.) to the data in the view model. Typically, the template binding mechanism is used when the HTML table with rows or unordered or ordered lists need to be generated dynamically based upon the data received from the external source like WEB API or WCF Services. The knockout.js framework supports two types of templates. First is Native templating, which is based upon the control flows like foreach, with etc. This is built into knockout. The other is String based templating, which is used to connect to third party template engine. Step 1: Open VS 2012 and create a new ASP.NET MVC 4 application, name it as ‘MVC40_DynamicUI_Generation_Using_KnockoutJS’. In this project, add the ADO.NET EF and complete the wizard which will map with the EmployeeInfo table created above. Step 2: In the controller folder, add a new API controller and name it as EmployeeInfoAPI. This API controller should be based upon the ADO.NET EF added in Step 1. Step 4: From the Index action method of the above controller, add a new Empty Index view. 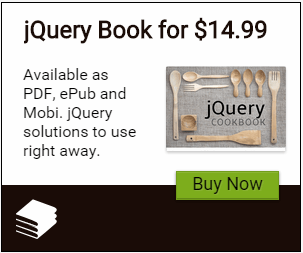 Note: By default you will have older versions of jquery and knockout script in your project. It is recommended that you upgrade to use latest versions from NuGet. The above script, defines the EmployeeInfoView model. This defines an observableArray of name Employees. This array will store the Employee data received after making an AJAX call to Web API. When the AJAX call is successful, the received data will be stored into the observable array. In the above markup, the HTML template with id as ‘EmpRecord’ is defined. This contains input tags which bind with EmployeeInfo properties e.g. EmpNo, EmpName etc using value binding. name: This is the ‘id’ of the element which contains the template. foreach: This implies that Knockout should render the template in foreach mode. This means that the template will render for the number of records passed to the foreach binding.